Dine at the best restaurants in San Diego. These San Diego best restaurants offer a unique San Diego experience, great value and great food. Our suggestions cover best casual dining, best fine dining, best Mexican food San Diego, and of course the best pizza in San Diego. There are many guides to the best restaurants in San Diego, and most focus on the expensive restaurants. While we will include some of the best San Diego restaurants for fine dining, our focus will be more on casual and moderate priced restaurants that fit most family budgets. For some good, casual dining restaurants, these are some local favorites. There are several locations around San Diego county. 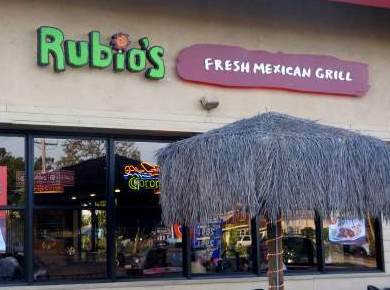 Rubios - The best Mexican restaurant in San Diego, for casual fresh dining. Try the Fish Tacos, only $1.75 on Taco Tuesdays (late afternoon and evening). IN-N-OUT Burger - Forget McDonalds or Burger King, In and Out actually makes your burger to order. The french fries are awesome and you can watch them make them fresh from real potatoes. Menu is limited but locals know the off-the-menu favorites. Ask for "animal style" for your burger or fries, or try a "three by three" if you are a hungry teenage boy. Broken Yoke Cafe - Best breakfast restaurant in San Diego, open for breakfast and lunch only. I love the Eggs Benedict! There are discount tickets in the Entertainment book and local flyers. Surf Brothers Teriyaki - Order your chicken or beef terayaki skewers, with rice and nice cold slaw. Yummy and healthy choice. They also have sliders for cheap price, I think $3.79 for 3 shredded chicken sliders on small buns, with a side of rice and terayaki sauce. With the sliders you can add a drink for 40 cents, so it is a very good price, and is popular with teens. You can find a discount coupon in the Entertainment book. Which Wich - One of the San Diego best restaurants for sandwiches. The bread is awesome and doesn't overwhelm the sandwich. You can create your own and they will make it for you. You'll go back a second time - the first time we went, we returned two days later because it was so good. Blendz - Another healthy choice restaurant offering fresh blended smoothies and salads, all made fresh for your order. The locals always have some great hangouts, so here are a few we can suggest. These are typically one of a kind with great food and modest facilities. The Lanai - A yummy Hawaiian restaurant, with patio seating in a casual atmosphere. Hidden behind a fence, don't let the "hole in the wall" look fool you. They boast the best poke in north county, and offer daily specials that are totally awesome. 1114 N Coast Hwy 101, Encinitas, CA 92024. Check website or call for hours. 760-613-4564. Pipes Cafe - A laid-back breakfast and lunch place, with breakfast served all day. No shoes, no shirt, no problem. We just had breakfast tacos, french toast with eggs, and breakfast burritos, each under $8. Indoor and outdoor seating. Located near the Cardiff Kook, San Elijo State Beach and Pipes beach. 121 Liverpool Dr, Cardiff, CA 92007. Another location in San Clemente. Sammy’s – With locations in Carlsbad, San Marcos, Del Mar, La Jolla and San Diego this restaurant serves up not only great pizza, but also some amazing salads and other dishes. Sammy’s has been delivering great food for years and now have an open bar. Visit www.sammyspizza.com for the location closest to you. Try one of these San Diego best restaurants for your next special meal. Perfect for Valentine's Day dinner, Mother's Day brunch, Thanksgiving dinner, or just a fine San Diego night out. Mister A's - Enjoy San Diego dinner at award-winning best San Diego restaurant Mister A's in San Diego. Call for reservations 619-239-1377. Hotel del Coronado - 1500 Orange Avenue, Coronado, CA 92118. Call now for reservations to dine in the Oceanview Ballroom or historic Crown Room. Phone number (619) 522-8490. The most famous landmark on Coronado, on the beautiful Coronado beach. George's at the Cove and George's Outdoor Terrace - Address: 1250 Prospect Street, La Jolla, CA 92037 Telephone: (858) 454-4244. In the heart of La Jolla near the La Jolla coast walk. The Marine Room - Address: 2000 Spindrift Drive, La Jolla, CA 92037 Phone Number: 858-459-7222. Considered one of San Diego best restaurants, with a fabulous view right on La Jolla Bay, near La Jolla Shores beach. Terra American Bistro Restaurant in San Diego - Contemporary American food served up in La Mesa area. Fresh farm to table cuisine. Phone number (619) 293-7088. Hilton Torrey Pines - La Jolla Torrey Pines, 10950 N. Torrey Pines Road in La Jolla San Diego Cal. Torreyana Grille. Great Sunday brunch. Located near Torrey Pines gliderport and Torrey Pines State Reserve, near the Torrey Pines golf course. Reservations Call phone number 858 450-4571. The Fish Market - located in Seaport Village in downtown San Diego, and another location near the Del Mar fairgrounds. Great fish and more on the menu. Moderate to expensive. Top of the Market at the downtown San Diego Fish Market is considered one of the best restaurants in San Diego. In San Diego at 750 North Harbor Drive, San Diego, CA 92101 (619) 232-3474, or next to the Del Mar Fairgrounds at 640 Via De La Valle, Solana Beach, CA 92075 (858) 755-2277. Reservations recommended.